Surrounded by the mountains of Berchtesgaden you will find the STOLL’S ALPINA in a beautiful location with a 12,000 m² garden. An oasis of peace and tranquility, away from the hectic. 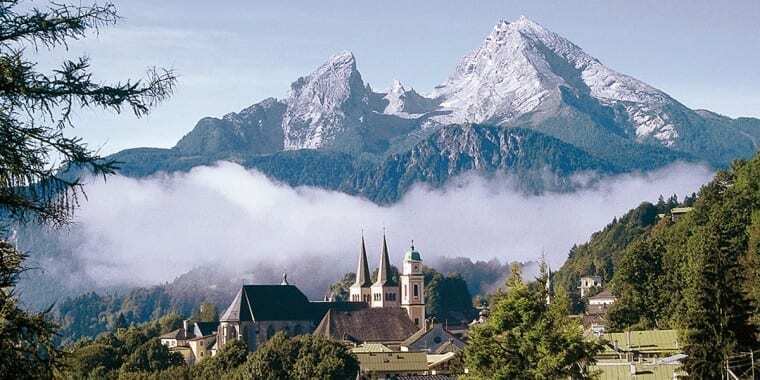 Nevertheless, centrally located between Berchtesgaden and Königssee on the high plateau of Oberschönau, one of the most beautiful spots of the Berchtesgadener Land. Current offers and packages for your feel-good holiday in Bavaria. Selected antiques, paintings and sculptures contribute to the unique atmosphere and style of the house. Since early days, the venerable house is a meeting point for many celebritys guests known as nobility, politics, artists, management or sports. Royals, Oscar-prize-winners, Tycoons or Olympic champions have been residing here. Click HERE you find a guest reference list. They all felt very comfortable in the warm ambience of the Hotel Alpina and many of them returned several times to their holiday paradise throughout the years. Family Stoll and their employees have constant efforts to fulfil any wishes of their guests individually to make their stay as enjoyable, interesting and recreative as possible.